Following on from the SuitSat-1 experiment, and using the lessons learned from the original project, development work began on SuitSat-2. Unfortunately, due to on-going storage requirements on board the International Space Station, the SuitSat team were unable to make use of the second redundant Orlan space suit for this next launch. The designated suit was returned to earth during 2009 to make room for additional equipment required on board the Space Station. Undeterred by this set back, the team continued with the project, and ARISSAT-1 was born. The Ham Radio equipment fitted within the redesigned satellite includes a 2 meter VHF transmitter, capable of simultaneous FM Voice, CW (Morse Code,) and BPSK transponder transmissions. BPSK or Binary Phase Shift Keying, is a digital data transmission mode, which is robust under poor signal or low power conditions. The transmitted signal consists of two audio tones, one high one low, which represent the ones and zeros in binary code. These tones are transmitted at a particular speed (bits per second.) At the receive end of the radio link, the audio tones are fed to a computer sound card which processes the audio 'heard' by the radio receiver. Suitable software then decodes the binary encoded signal, and displays the data message in plain language on the computer screen. 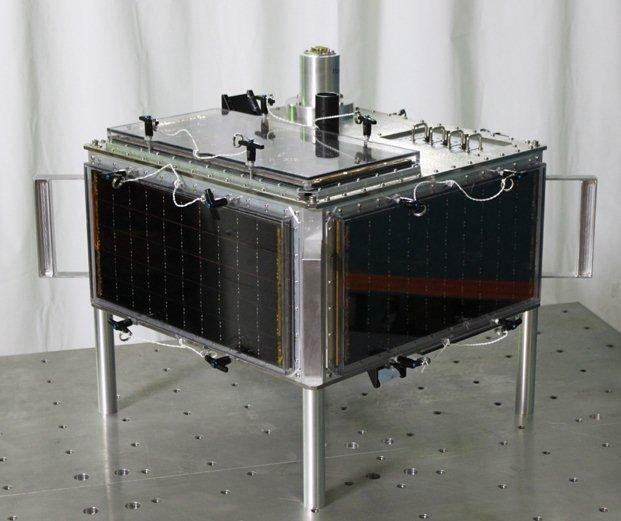 The completed satellite was delivered to Houston, Texas, at the end of September 2010 and will be forwarded on to Russia during October 2010, where further experimental equipment will be fitted. ARISSAT-1 is scheduled to be taken to the International Space Station by a Russian 'Progress' supply vehicle during January 2011, and should be deployed during an EVA 'space walk' in February 2011. Update 30th January 2011. ARISSAT-1 has arrived at the International Space Station. 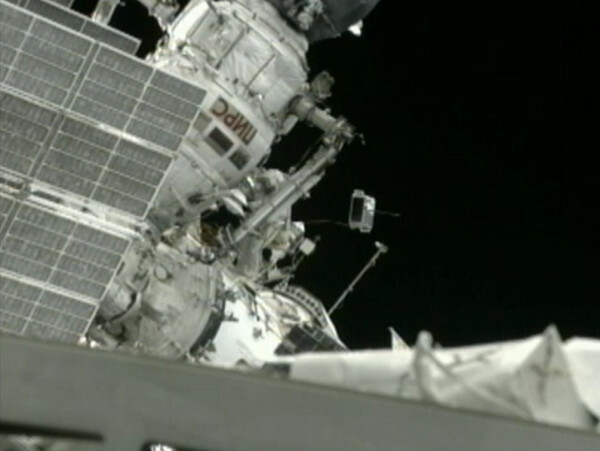 Deployment is scheduled during an EVA on February 16th 2011. Update 13th February 2011. ARISSAT-1 transmitters have been tested onboard the ISS and are working. However, due to an operational change in the EVA schedule on 16th February, deployment has been removed from the EVA task list. Launch is now due to take place during EVA 29 in July 2011. Update 10th April 2011. ARISSAT-1 will transmit on Monday, April 11, at 14:30 UTC and continue until 10:30 UTC on April 13 to celebrate the 50th anniversary of the first human space flight by cosmonaut Yuri Gagarin. The FM transmissions on 145.950 MHz will alternate between a voice ID, telemetry values, SSTV images and audio greetings in 15 different languages. One of the transmissions will contain audio of a conversation between Gagarin and ground controllers that was recorded during the historic flight. In a bulletin issued 12th April, NASA confirm ARISSAT-1 will be switched on during 12th April to mark the occasion. Following some doubt as to the condition of the external 70cms antenna system, on 3rd August 2011 ARISSat-1 was deployed from the ISS by Russian Flight Engineer Alesander Samokutiaev and Sergy Volkov. 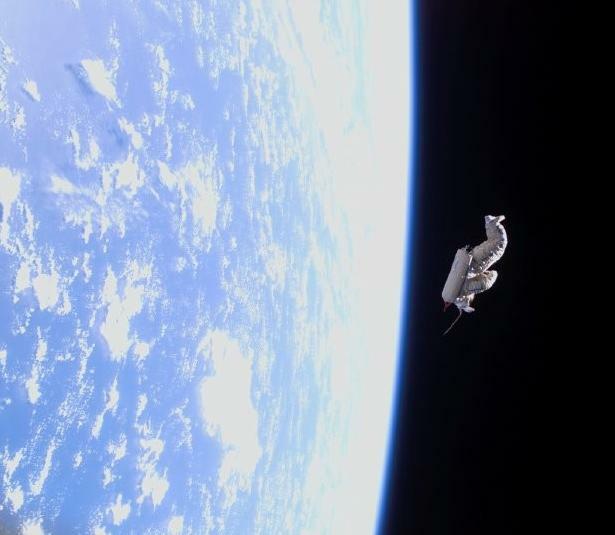 Below is an image of the satellite (center frame) tethered to the ISS prior to launch. 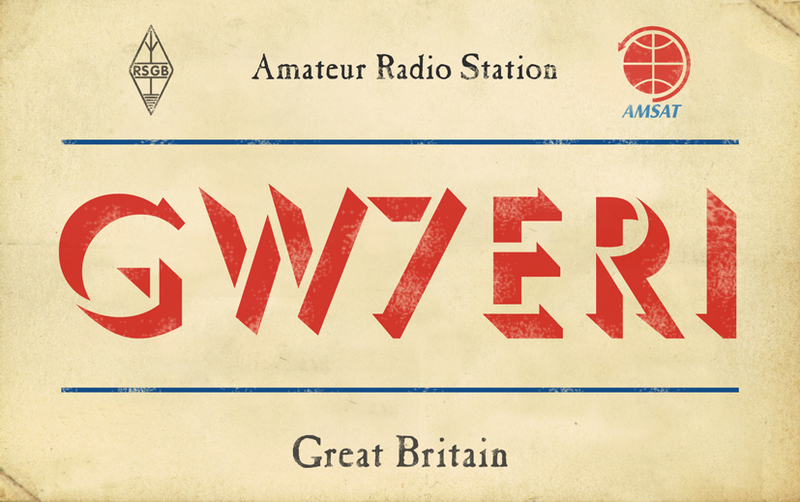 Signals on the 2 meter frequency were subsequently received around the globe, and the VHF system worked as planned. 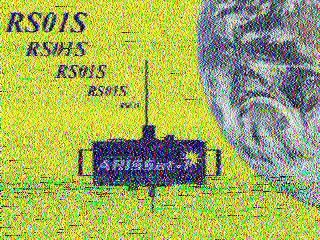 The SSTV image below was decoded here on 12th August 2011 during an 'over head' pass. The image was received using the Yaesu FT847 radio and HRD Deluxe software. HRD maintained the correct frequency by adjusting for Doppler shift, and the Robot-32 decoding was provided by the DM-780 module within the HRD suite. The antenna used was a simple 2 meter vertical. Subsequent passes were heard on a small hand held scanner (Yaesu VR-500) proving that simple equipment was more than capable of receiving the satellite. 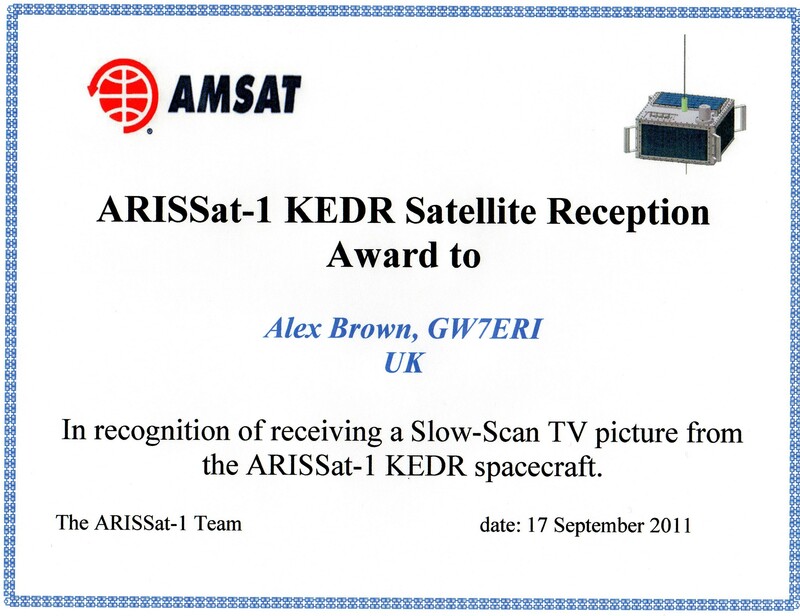 The satellite ceased transmission on 4th January 2012, the final telemetry data being recorded over Japan. Rising temperature data contained within the telemetry transmissions showed the effect of the Earth's atmosphere heating up the satellite as it moved toward re-entry. Thanks again to all involved for making this an interesting experiment!